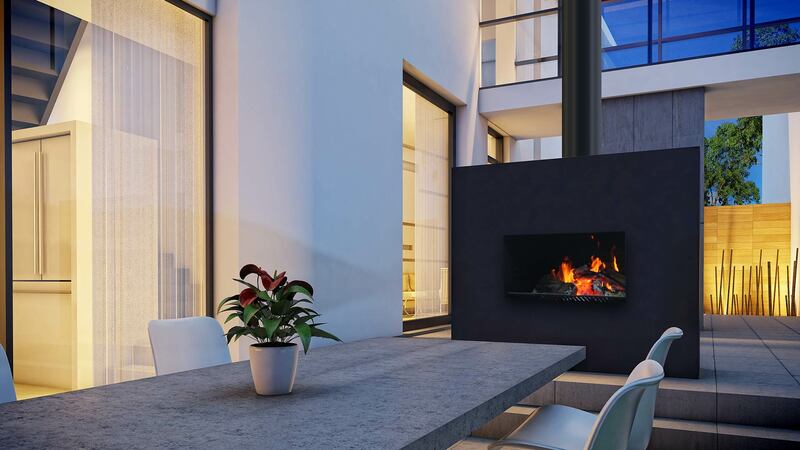 Escea’s outdoor fires keep you warm and add a dramatic focus to any outdoor gathering. For the traditionalists, drawn to spark and flame, the EW5000 provides a wood fire that you can cook on, as well as bask in front of. The EW5000 can be installed with or without the stainless steel frame. For long life, Escea constructed the firebox of high quality 4mm thick steel. This outdoor barbecue fire needs to be enclosed in non-combustible masonry, stone, concrete or brickwork. This fire features a cooking plate for the ultimate BBQ. The plate can be placed at three different heights to regulate heat. When it’s not in use, the plate conveniently slots under the ash pan. For the traditionalists out there, you have the option to go without a fascia. This frameless look makes the flame the star attraction and is perfect for a rustic setting. Manuals and documents for EW5000 fireplaces.